Should a river have the same rights as a person, or a corporation? This is the question that a Colorado lawyer and an environmental group asked a federal judge this past September. 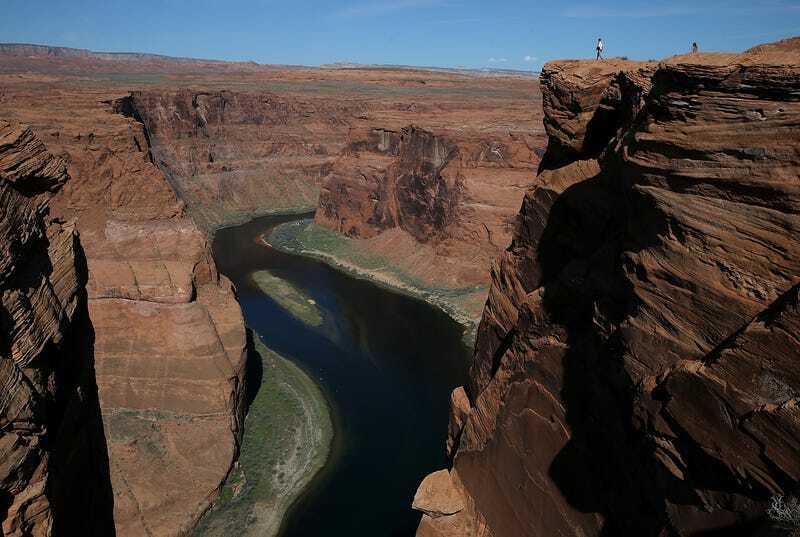 The lawsuit, which is the first of its kind, demands that the Colorado River be recognized as a person and be given the rights to defend itself against pollution and overexploitation. The suit, filed in Federal District Court in Colorado by Jason Flores-Williams, a Denver lawyer and a coalition of environmental groups, cites the river as the plaintiff and claims the state violated the river’s right to flourish by polluting it and threatening endangered species that live along its banks and in its waterways. This first-of-its-kind lawsuit could be a game-changer for environmental law; if successful, future similar lawsuits could help curb pollution of natural environment at the behest of industry. The Colorado river basin covers 246,000 square miles and provides water to close to 40 million people. However, scientists claim that it’s expected to shrink due to increased temperatures caused by climate change. Does every pebble in the world now have standing? Absolutely not, that’s ridiculous….we’re not interested in preserving pebbles...we’re interested in preserving the dynamic systems that exist in the ecosystem upon which we depend.